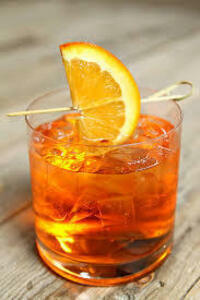 The warmer weather brings with it some of our favorite things: bbqs, cocktail parties, pool parties, and casual lounging. With this in mind, your outdoor space should look just as stylish as the indoors. 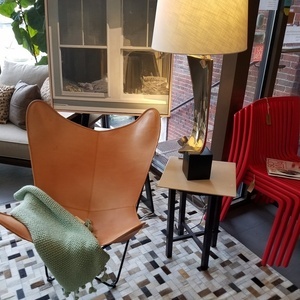 Here are some of our favorite pieces that can easily transition from indoor to outdoor. 1. 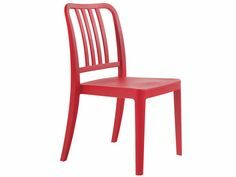 The classic BKF chair with leather slipcover is casual and stylish. Put them next to a firepit, sit back, and relax. 2. 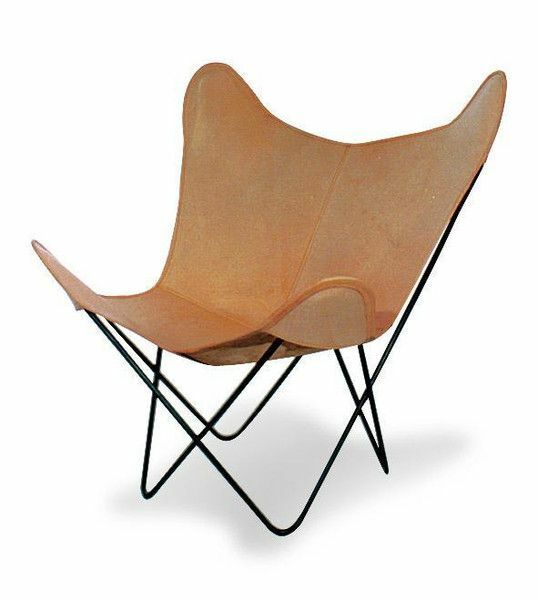 The Tripolina chair was the original inspiration for the deisgners of the classic BKF chair. 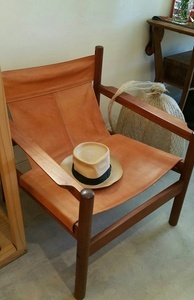 Collapsible and light weight, their covers can be made of cowhide, canvas, or leather making it the perfectly stylish transitional chair from indoors to outdoors. 3. 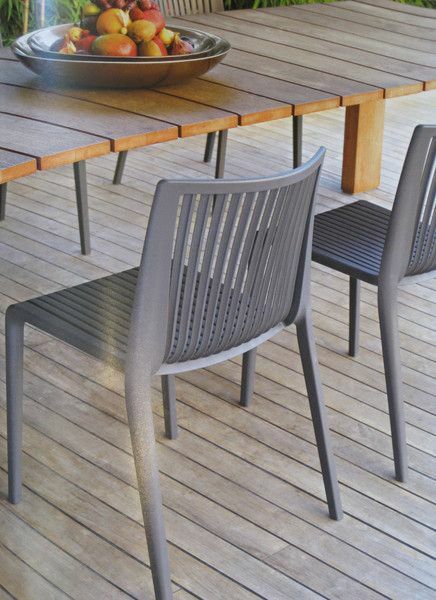 Our "Cool" chairs are a great patio dining chair due to their anti-UV material. 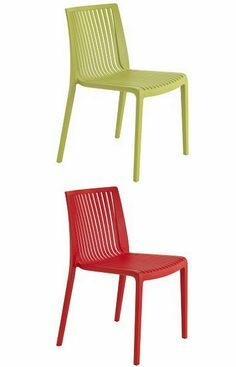 They're made of fiberglass reinforced polypropylene and are stackable making them great for storing. They come in many great colors too. 4. 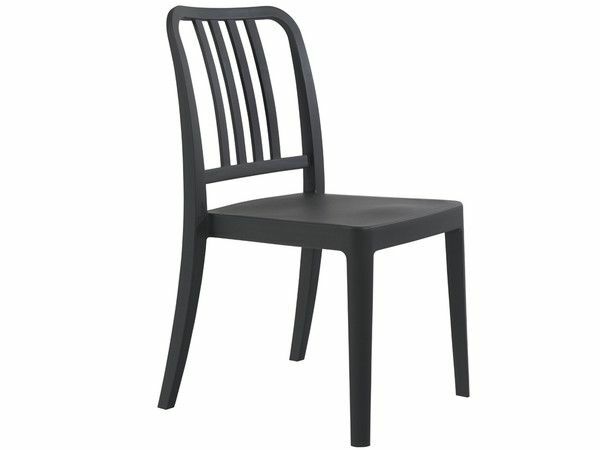 The sister to our "Cool" chair is the Varia chair. Made from the same material as the "Cool" chair, fiberglass reinforced polypropylene, these chairs are extra comfortable due to the design, with seat cushions available to match or contrast. Pillows and cushions should add comfort and act as design accents to your surroundings by bringing out the colors and natural environment through materials such as cotton and linen as well as patterns like florals and plaids. 5. 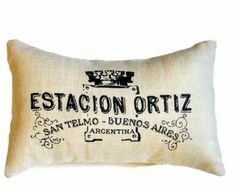 Our "Estacion Ortiz" pillows are from the enchanting neighborhood of San Telmo in Buenos Aires, Argentina. Made of linen or cotton, they're lightweight and stylish for outdoor comfort. 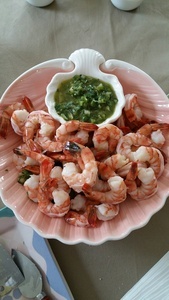 Toss them on a chair or line them on a sectional lounge piece. 6. Our Harlequin cushions are a great option if you prefer a more Bohemian atmosphere. Sit these cushions down on the floor with a low table and relax! 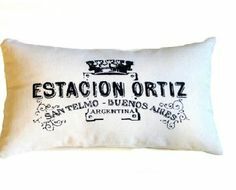 They vary in color and patterns, made with custom limited edition fabric from Argentina. 7. 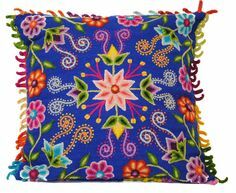 These hand-embroidered floral printed pillows just beg to be put outdoors in or near the garden. Bright and colorful, they scream "Summer!" 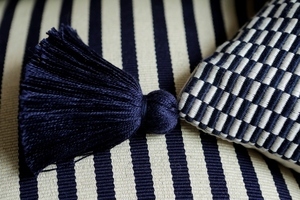 Textiles and throws are a great way to add texture and layers to the floor or furniture. 8. 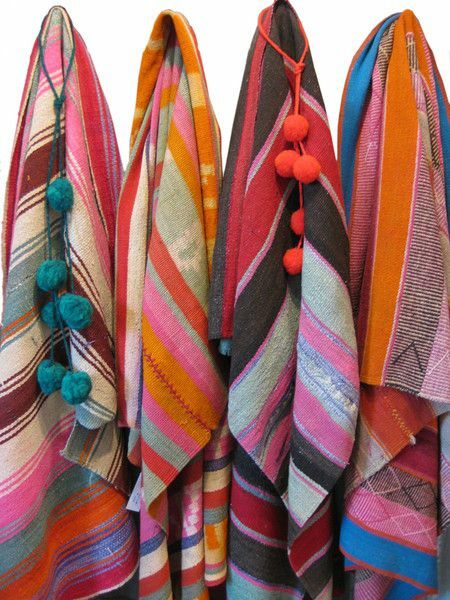 These one-of-a-kind vintage throws also known as mantas, aguayos, or frasadas, made of sturdy wool, are from rural Argentina. The fibers used are all vegetable dyed resulting in organic, vibrant yet subtly faded color and pattern. 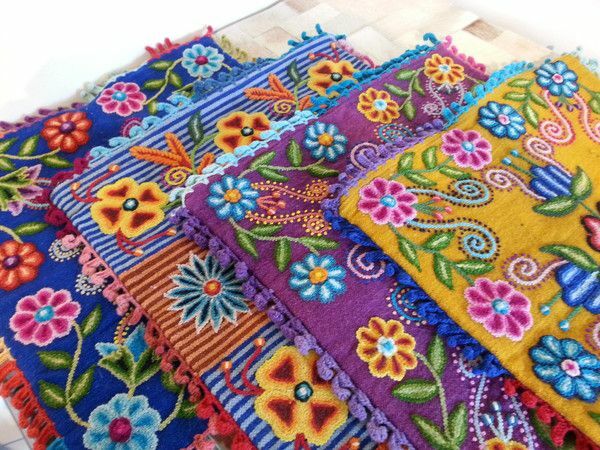 Use them as picnic blankets, floor rugs, or throws, and even table cloths to brighten up your outdoor space. 9. 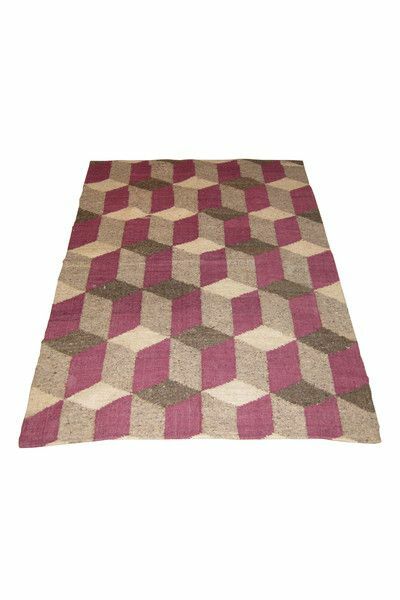 These pedal-loomed wool carpet throws have vivid geometric patterns and sophisticated colors. They're made with a sturdy blend of wool and cotton, and are a great way to add style and color to your outdoor floor or seating. 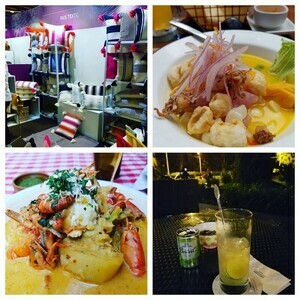 Your decorative outdoor accessories should add flair as well. 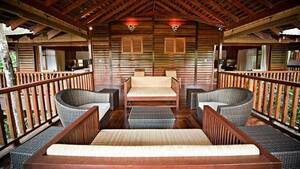 Use items that are organic in shape or made of natural materials so it complements the surrounding nature. We like a mix of vintage and new. 10. 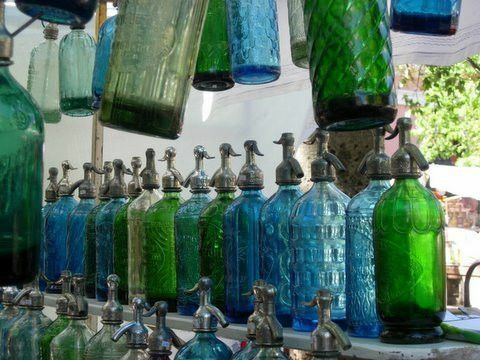 Decorate the bar with our vintage seltzer bottles. 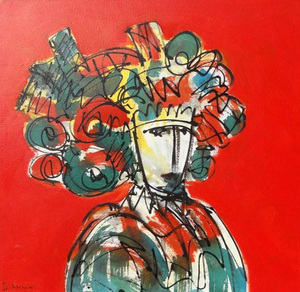 Use a couple or a collection to line up to create a dynamic and colorful look. Sunlight illuminating the glass adds a playful dimension. 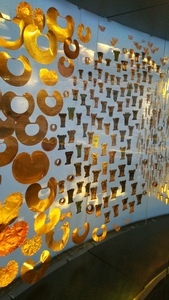 Mix and use other vintage glass pieces as well. 11. 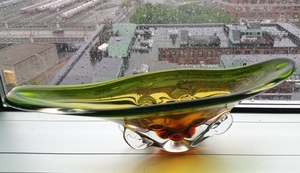 Our recycled glass vessel piece is great as a centerpiece on an outdoor table or on the floor in the garden. Surround with other organic pieces like wood, stone, shells or other natural materials. Ours is pictured with a "necklace" of interesting seed pods. 12. 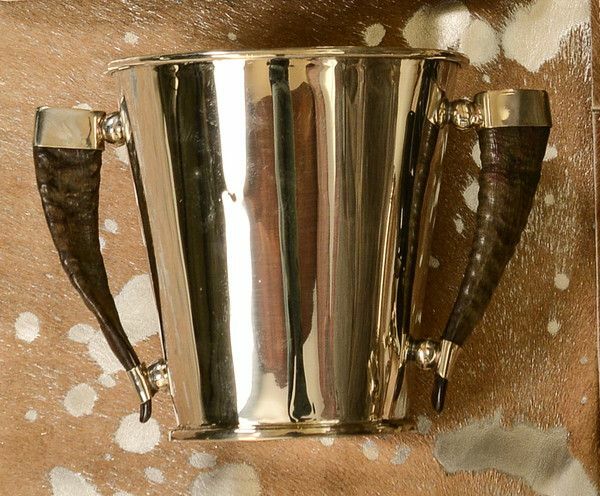 Our alpaca silver and horn ice bucket adds and instant touch or unique style on any table or bar area! The organic look works well in outdoor settings and offers a fun take on your everyday wine bucket. 13. 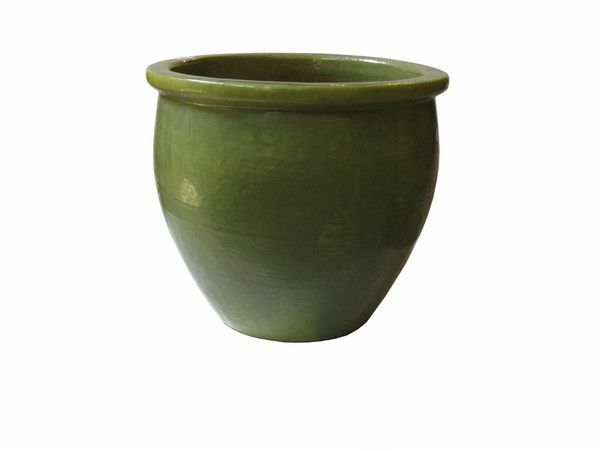 To create a lush outdoor atmosphere, use colorful large glazed pots are the perfect size for large plants and flowers. 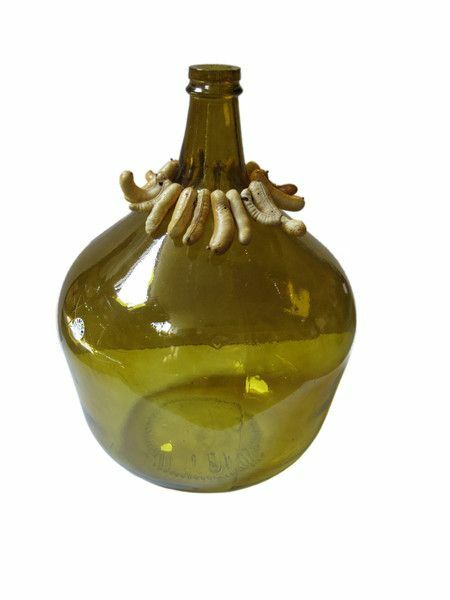 They can also be used to store wood or kindling for an outdoor fireplace or pit. They make a great beer and wine vessel as well, lined with plastic. With these suggestions, your deck or patio will be transformed and ready for any fabulous summer occassion. Put on the sunblock, get out the grill, open up the wine, and take some time to relax in the comfort of your own backyard!